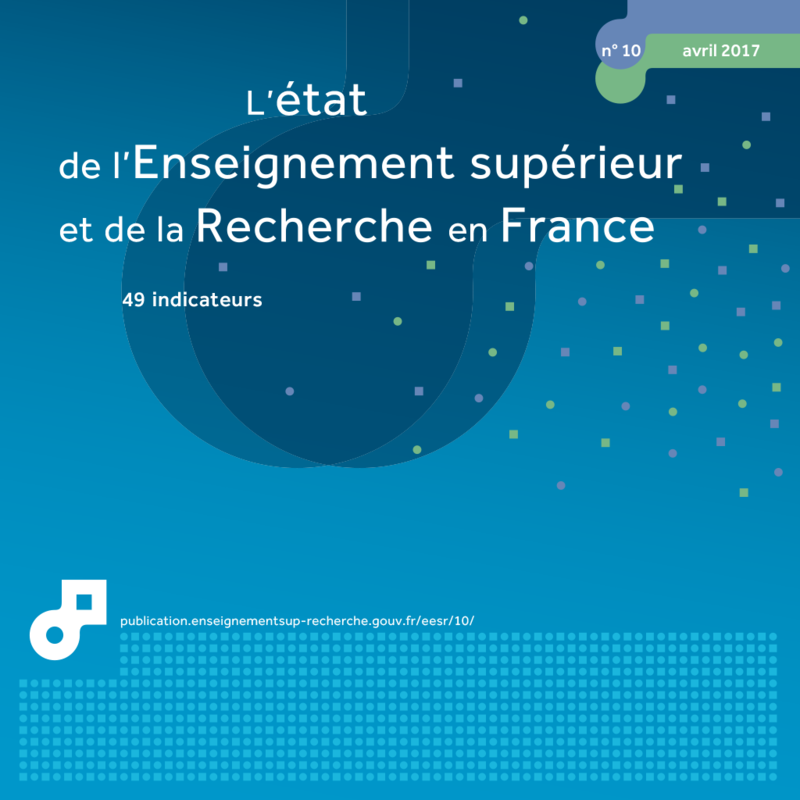 France was ranked seventh in terms of production of scientific publications in 2015. As for other high-income countries, its worldwide share (3.3% in 2015) has tended to fall since the emergence of new scientific powers, but the impact of its publications has increased. France has a high rate of international collaboration, in line with that of Germany and the United Kingdom. The European Union and the United States are its foremost scientific partners. In a context of increased numbers of publications (+ 64% from 2005 to 2015), the redistribution of worldwide scientific production has now been established (chart 47.01). The share of the United States and the European Union is in decline despite a rise in the number of their publications. Japan shows both a decline in its share and in the number of its publications. The share of countries with fast-growing scientific development continues to increase. China achieved a share of 16% in 2015 and the number of publications from South Korea and India has doubled in ten years. In total, the worldwide share of advanced scientific countries is falling back despite the rise in the number of their scientific publications. France is in third position among European countries with 3.3% of its worldwide publications, after the United Kingdom (4.9%) and Germany (4.8%). The worldwide share of publications by these three countries has fallen by more than 20% since 2005. Italy and Spain, whose shares of publications are today closing in on France, have different trajectories. The share of Italian publications fell from 2005 to 2012 and has now settled at around 3.2%. Spain's share, on the other hand, increased between 2005 and 2012, although this has dropped slightly subsequently, to reach 2.7% in 2015 (chart 47.02). The scientific impact of publications from the main western producers (impact index standardised per specific subject area) is still higher than for the Asian countries (chart 47.03). Switzerland and the United States have the highest impact indices, which have been stable for ten years. The United Kingdom has seen a significant increase in its impact index up to 2012, bringing it closer to the United States. The French and Italian impact indices, which were below the global average in 2005, have increased significantly to bring them closer to the German impact index. The impact indices of China and of South Korea have increased substantially, but are still considerably below the global average. The Japanese impact index has eroded and dropped below the Korean and Chinese indices. Among the leading ten publishing countries in the world, France has one of the highest international co-publication rates, equivalent to that of the United Kingdom and Germany. The number of international co-publications are increasing at global scale but in different ways depending on the countries. In 2015, the rate of publications involving at least one laboratory abroad was more than 50% for France and many other European countries. The United States has a lower share of international co-publications (35%), mainly due to their size. Their international co-publications have nevertheless increased dramatically since 2005 (+60%). The share of international co-publications from Asian countries is significantly lower - between 21% and 28% for Japan, China, India and South Korea. Japan has expanded its collaborations considerably (+40% from 2005 to 2015), but China has seen them stagnate (+5.4% from 2005 to 2015). In 2015, France’s foremost partner country was the United States, with more than a quarter of French co-publications, before Germany and the United Kingdom, its foremost European partners (chart 47.05). The United States, United Kingdom and Germany are more important partners for France than France is for them. Conversely, France is a more important partner for Italy, Spain, Switzerland, Canada, the Netherlands and above all Belgium. There are still very few co-publications with China. 1 Count of presence, three-year moving average.